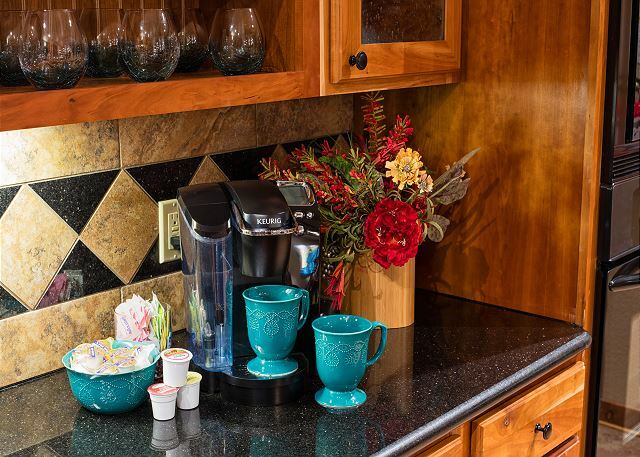 Kitchen - All of our properties are equipped with Keurig coffee makers, coffee, creamer and sweeteners. 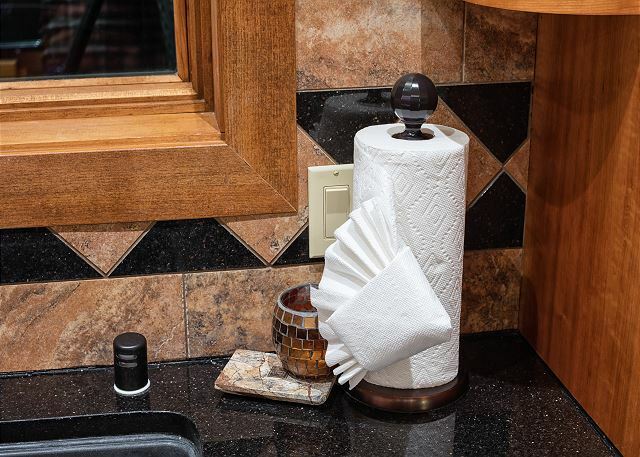 Downstairs Bathroom - Shampoo, conditioner, shower gel, bar soap an make up face wipes are provided for your convenience. Lakeview is a luxurious five-bedroom, four bathroom home set on the top of one the most beautiful spots in the Camelot area. 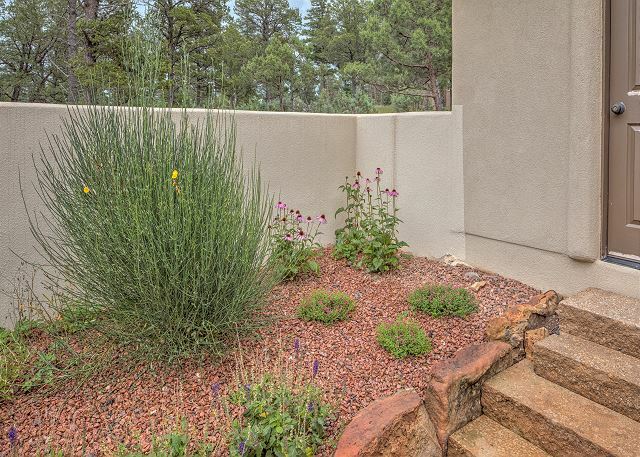 As you come across the welcoming front porch, you will enter into the beautifully appointed main living space with open access into the kitchen and dining areas. Great for large family gatherings! 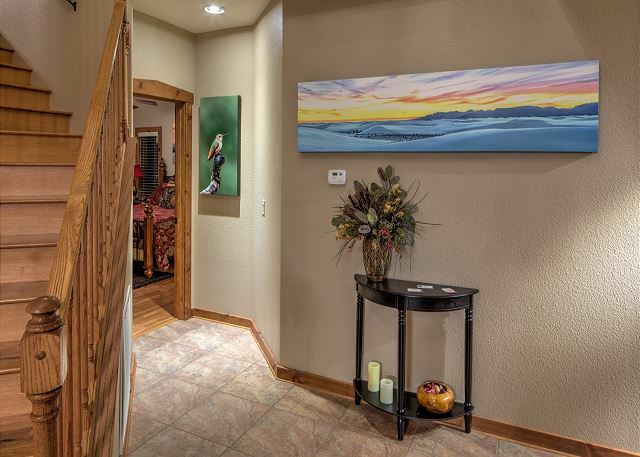 LED lighting throughout the entire house helps feature the beautiful artwork displayed by our very talented artists & vendors that we partner with in the area. Information is provided in the homes and on our website. 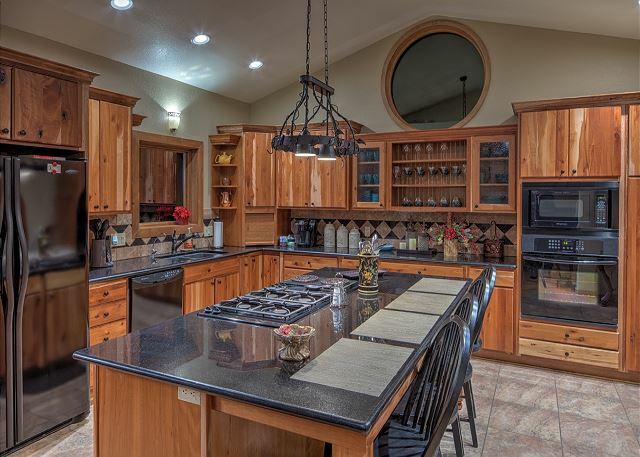 The kitchen is fully equipped with everything you will need! With a five-burner gas cook top in the beautiful quartz island, built in oven and a microwave cooking in this large kitchen can be a family affair where memories are made! 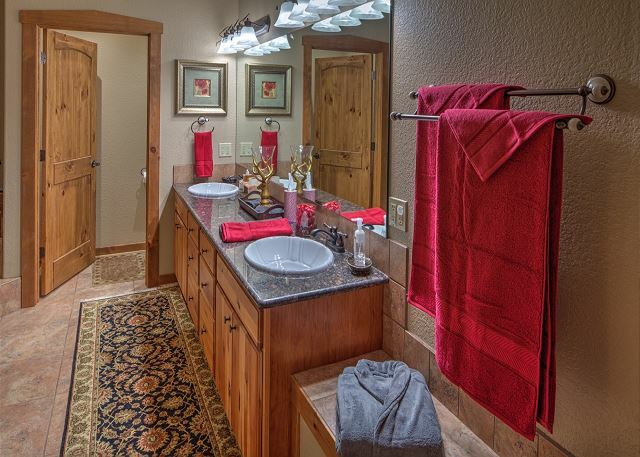 Downstairs you will enjoy the master suite which features a king size bed, a gas log fireplace and a private bathroom. Down the hall is a spacious guest bedroom with a queen-size bed. Across the hall is the guest bath. Upstairs the home features 3 more guest bedrooms. 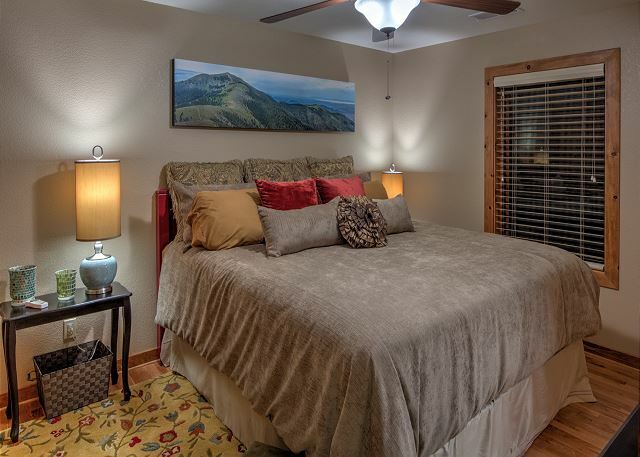 2 bedrooms include queen-size beds while the 3rd bedroom features a king-size bed. There are 2 additional bathrooms as well. A cozy loft living area with a gas fireplace is the central point of the upstairs area. 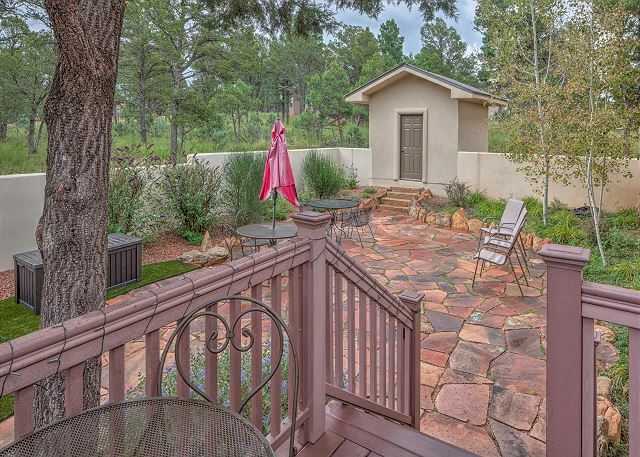 A gorgeous picture window allows you to look out and see the Inn Of The Mountain Gods Lake and view Sierra Blanca Mountain! The beautiful leather couch also makes into a queen memory bed as well! This lovely home sleep 12 people comfortably in beds with the option of adding an additional king or queen blowup mattress for a small up charge for extra guests. 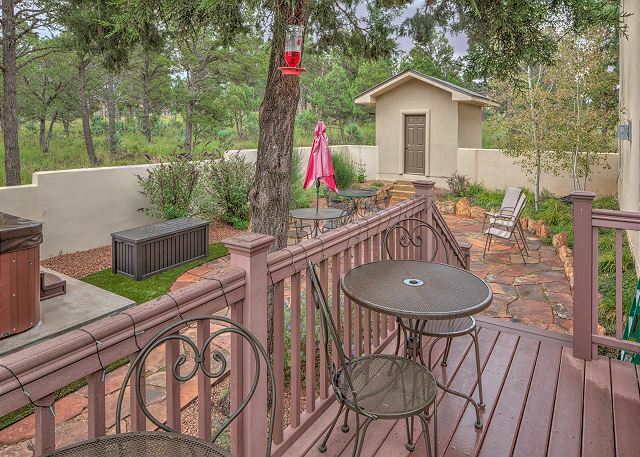 You can make the most of outdoor living by enjoying the gorgeous flagstone courtyard right off of the kitchen deck. A BBQ grill is provided along with seating for outdoor meals. 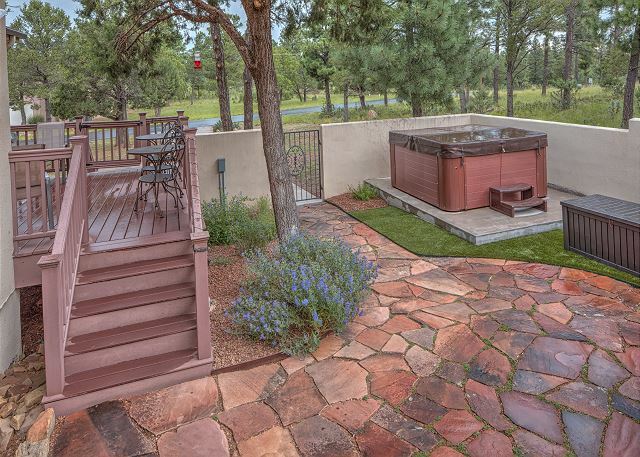 A large hot tub can be enjoyed while gazing at the stars during the crisp Ruidoso nights! 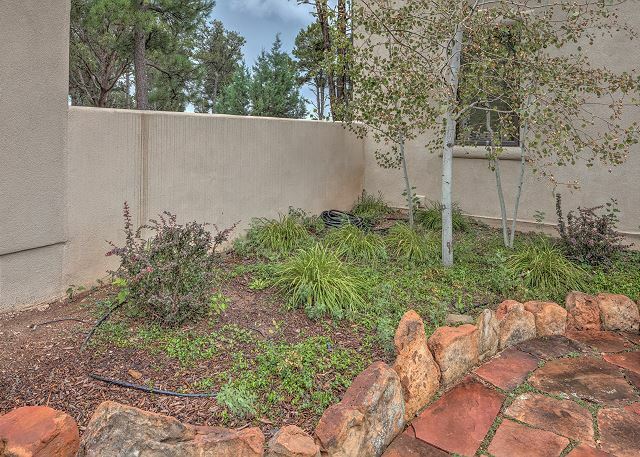 This home is equipped with central heat and air conditioning, 3 gas fireplaces, wireless internet, printer, house water softener, RO system, charging station for your phones and washer & dryer. 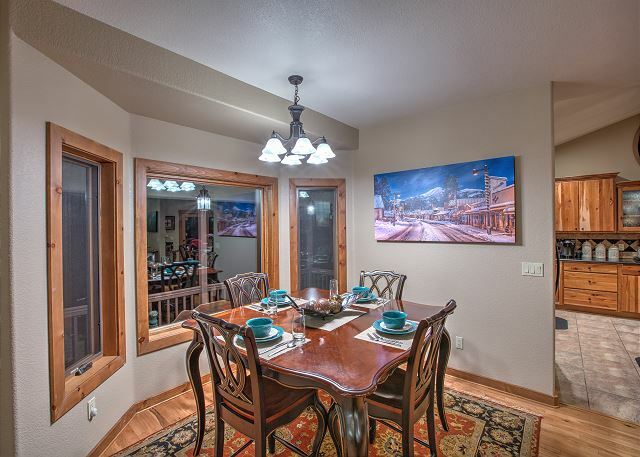 Lakeview is a luxurious home for the entire family! Make memories you will have for a lifetime! NOTE: The roads are plowed and maintained; however 4-wheel drive vehicles are highly recommended during the winter months. Beautiful home. Owners were very accommodating. House had everything we needed except for /tv's in bedrooms. Fue una experiencia mu agradable. Una maravillosa villa, con detalles agradables. Mi familia, amigos y yo pasamos unos días agr5adbales. We were in town for the bike rally, we have stayed in numerous houses/cabins, however, this was by far, the best rental property we have stayed in! The house was large enough to accommodate our group. It was also very spacious, relaxing, very comfortable, large open kitchen/dinning area. We enjoyed the patio and hot tub. We highly recommend this property. Thinking of booking again to bring the kids. Beautiful home great location. Squeaky beds every time my husband moved I could hear him. Overall very nice place to stay, the kids had a blast in the hot tub. Tons of deer, nice comfy house, provided snacks as well including coffee. The Lakeview property was everything we were hoping it to be. 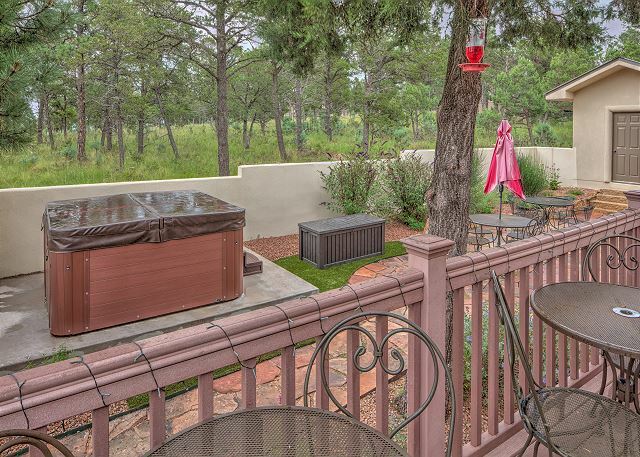 Clean, accomodating, wonderful hot tub, comfortable beds, and lots of room! 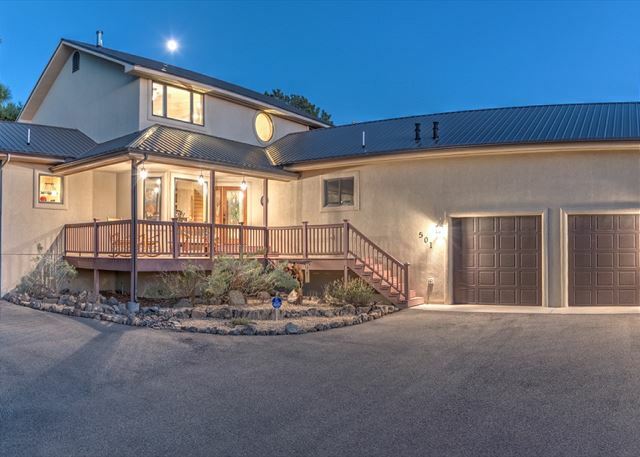 If you are looking for a wonderful house that accommodates many and is immaculate, then this house is for you! The management was also the friendliest, most accommodating we have ever dealt with! We can't recommend this property enough! We expend a couple of day for our 2018 planning meeting. The House is awesome!Modern and couzy at the same time. The owner/Red Heads take care of every single detail! We will back again for work and with our families, we all agreed on this. This property was everything it was described to be and more. I would recommend this cabin to everyone. Gorgeous home. 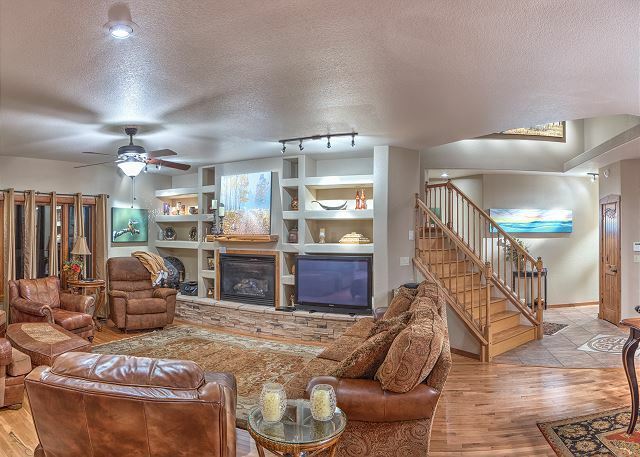 Pros: big living area lots of great seating space, gorgeous kitchen, master is huge, lots of wildlife. 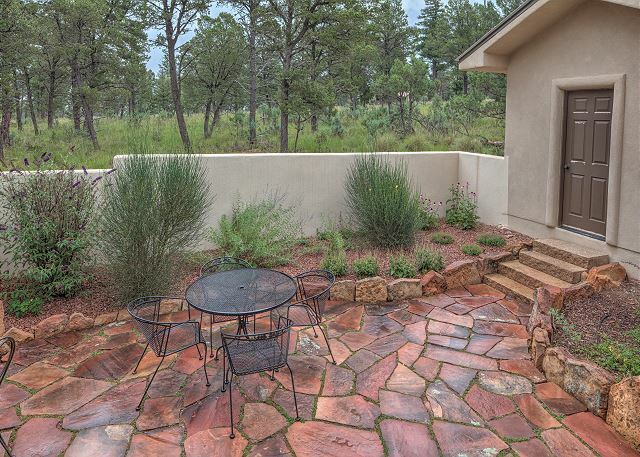 Hot tub is beautiful, flagstone patio is nice, beautiful landscaping. Cons: stairs a challenge especially for a bunch of sixty somethings, one bedroom upstairs is very small and shares a very small bath, mattresses on three beds could have been better, small deck and limited view. Dining room table had only chairs for four. Overall great but probably won't rent again due to stairs. We used this cabin for our high school reunion meeting place and a few of us stayed. The layout of the house was perfect and very roomie. We rented the house for our Mother Daughter Sister trip that includes 9 women and 2 toddlers. The house was perfect. The space was amazing the location was wonderful and the amenities made us feel at home. The first night we were there the deer came up and ate fruit from our hands. The kids were in heaven. We will definitely returning in the future. The home was perfect in every way! Honestly, this home inspired me to come home and organize and clean! Lol! Our large family of 9 slept very comfortably! We enjoyed cooking in your fabulous kitchen! We also enjoyed the hot tub! As we relaxed in the hot tub the humming birds fed and the dear came for a visit!! The home was easy to get to and the directions were easy to follow. The customer service was great. During our stay we shopped and went to the horse races. We sat out on the beautiful patio and grilled and sang songs! 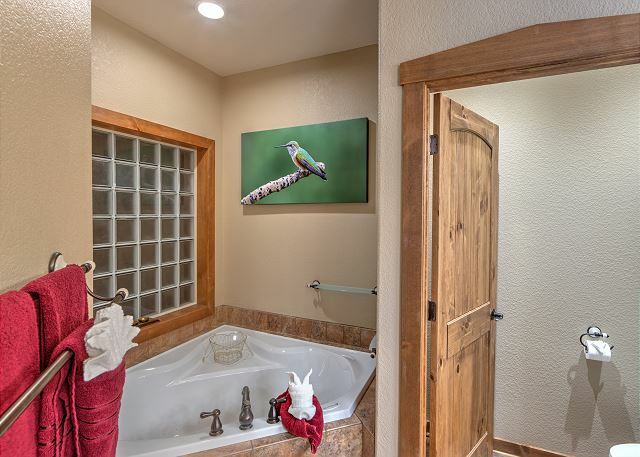 I would highly recommend this vacation home for any family wanting a perfectly clean and organized home that is situated among the most beautiful scenery and wildlife! We are hoping to reserve for the holidays!!! Beautiful home. 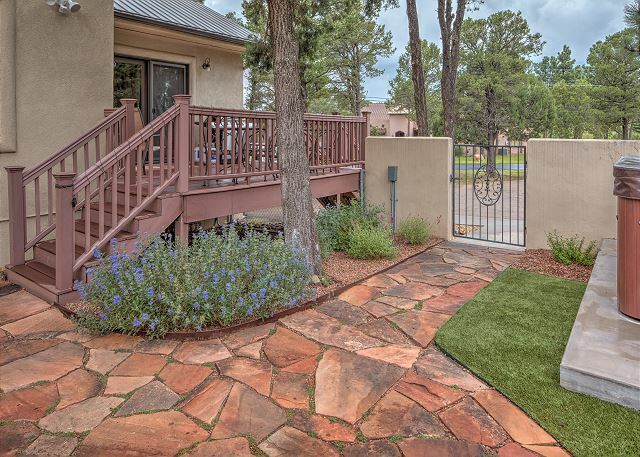 It has to be one of the top rentals in Ruidoso. Everything needed was provided. The outside views were breathtaking. And the neighborhood deer were an added bonus! I definitely recommend this luxury away from home. We are so glad that you enjoyed your retreat away from home! 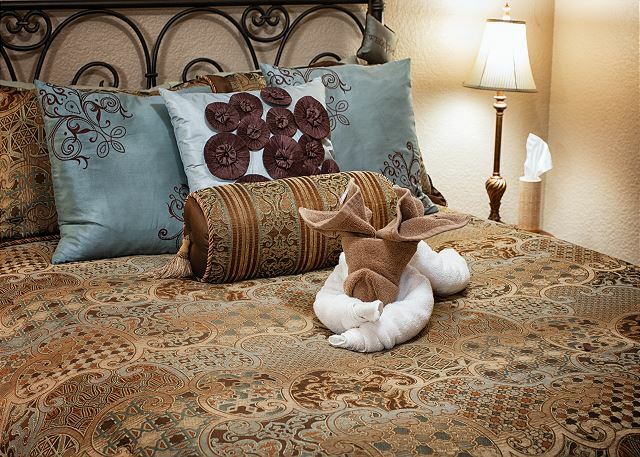 Providing a sanctuary for our guests is what we love to do. We hope to see you again in the near future!